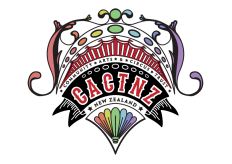 We are creatively engaging, training, supporting, connecting and inspiring people from all walks of life through the medium of community arts and circus within New Zealand. From at risk youth to industry professionals, we see and believe in the power and benefit of community arts and circus. We are a dedicated, experienced and passionate inter-disciplinary group based in Auckland, Wellington and Dunedin. We aim to raise the profile of community arts and circus within New Zealand and work with a wide range of people. This work includes support and collaboration with community groups and grassroots organisations and Arts and Circus professionals. We strive to bring community arts and circus into the hearts of communities and to make them accessible for all.